Each style is available in 9ct or 18ct yellow, rose and white gold, or platinum, along with a variety of diamond types. Striking and unique, she leads the way in fashion and style. Her confidence and adventurous nature ensure her alluring personality shines through. With a flair for design and refined minimalism, she pushes the boundaries of tradition. Contemporary and stylish, her ring adds subtle luxury to her new beginning. Captivating, enchanting and perfectly hypnotic, she channels her inner princess in a visionary fashion. Her wedding day is full of majesty and brilliance, and is the perfect prelude for her happy ever after. Her charmingly delicate ring represents the joyful and romantic unity of her fairytale waiting to unfold. Mesmerised by vintage trends and bygone eras, she is sentimental in her ways. Her unique and eclectic style is alluring, with a jewellery collection that tells a beautiful story. Her wonderful trilogy ring symbolises her past, present and future, making it the perfect heirloom piece that will be treasured for years to come. Refined, ladylike and impeccably styled, she is graceful in her ways and wonderfully understated. Bringing a touch of effortless sophistication to the finer details, she invests in classic pieces that will forever be a part of her love story. 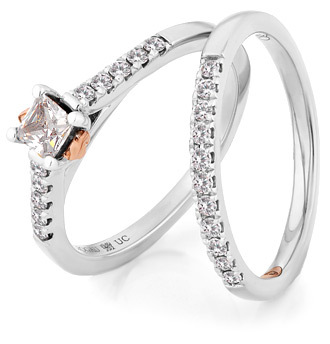 Her ring is simplistic beauty; beautifully delicate and an elegant symbol of her timeless love. Always enthralling with an air of allurement, she is utterly passionate, bold and the epitome of sophistication. She dazzles in opulent detailing, luxurious surroundings and the finest materials. Her ring sparkles brightly as she looks down to her left hand, enhancing her glamorous and captivating nature. Reveling in elegance and innate femininity, she loves the idea of pure love and serendipity. A vision of beauty, she is enthralling, charismatic and utterly endearing, with a love for soft detailing. 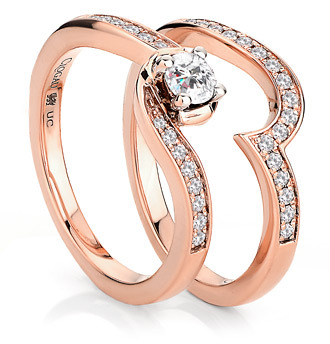 Overflowing with tenderness and affection, her charming ring unites the bonds of true romance. Already know your ring code? 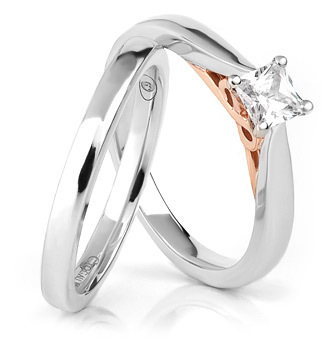 Visit an approved Compose by Clogau® stockist and they will be delighted to help you choose the perfect ring/s to suit your tastes and budget, with knowledgeable and friendly advice on the beautiful array of golds, diamonds and designs you can choose from.